Nikki Tackett has rated on date 01/18/19 as I love this product!This double edge brow pencil is amazing! Highlights under the brow and smooths the top brow perfectly with 5star. I am enjoying this beautiful duo pencil it is creamy and easy to draw on and soft enough to smooth out with an eye brush and it covers anything I need to hide or shape around my brows. I also love the choice of matte or shimmer in one pencil and am definitely repurchasing when it is too small to sharpen! Lynda Simoni has rated on date 12/07/18 as Creamy and lightI am enjoying this beautiful duo pencil it is creamy and easy to draw on and soft enough to smooth out with an eye brush and it covers anything I need to hide or shape around my brows. I also love the choice of matte or shimmer in one pencil and am definitely repurchasing when it is too small to sharpen! with 5star. I have been using this product for a number of years and it always looks good. Deanna Kreutz has rated on date 12/06/18 as Great productI have been using this product for a number of years and it always looks good. with 5star. I have used Anastasia Highlighting Duo Pencil in a different shade before and picked this colors thinking that it would be better than the Shell/Lace and when received I thought it would be too light for my complexion but it actually worked nicely. As with any other Anastasia Brow products, have always been satisfied. Elena Gouel has rated on date 09/19/18 as Smooth and finished look.I have used Anastasia Highlighting Duo Pencil in a different shade before and picked this colors thinking that it would be better than the Shell/Lace and when received I thought it would be too light for my complexion but it actually worked nicely. As with any other Anastasia Brow products, have always been satisfied. with 5star. Mildred Fernandez has rated on date 09/17/18 as Love it!! !I love this product with 5star. Anastasia Beverly Hills Highlighting Duo Pencil is a dual-sided pencil that features a shimmer end for highlighting the brow bone and a matte end for defining the brow line. 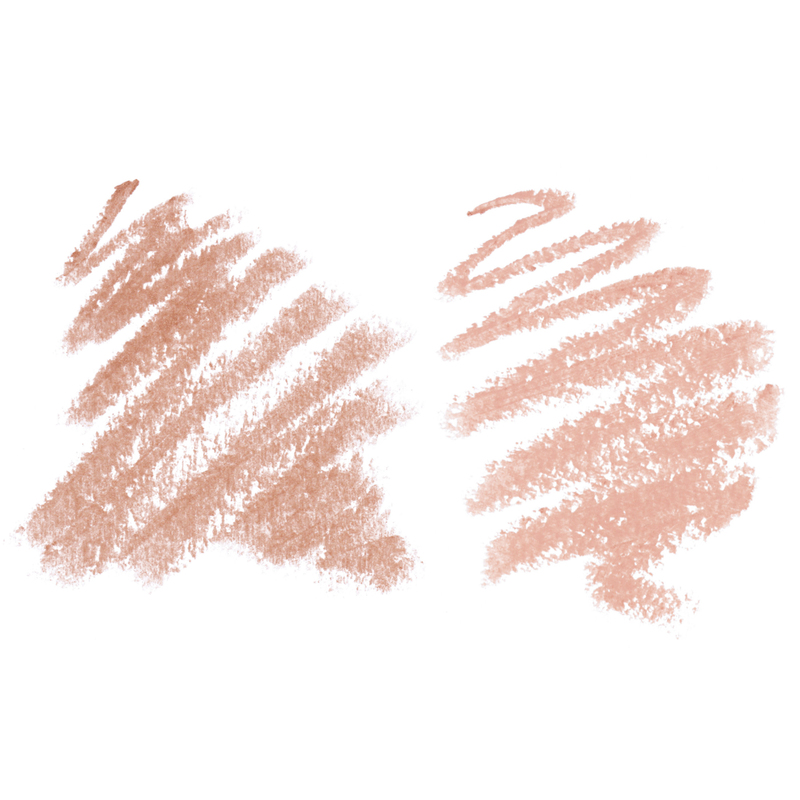 To create a natural-looking finish, first apply the shimmer end, follow up with the matte end, then blend together. First, apply the shimmer end from arch to tail. Then, apply the matte end from the front of the brow toward the tail. Blend using Brush 20 for a seamless brow highlight that adds a lifting effect to your brows. SHIMMER: DICAPRYLYL CARBONATE, MICA, HYDROGENATED COCO-GLYCERIDES, RICINUS COMMUNIS SEED OIL, MYRISTYL MYRISTATE, METHYL METHACRYLATECROSSPOLYMER, C30-45 ALKYL METHICONE, C30-45 OLEFIN, BEESWAX/CERA ALBA, CETYL PALMITATE, COPERNICIA CERIFERA (CARNAUBA) WAX /CIRE DE CARNAUBA/CERA CARNAUBA, DIMETHICONE, SUCROSE ACETATE ISOBUTYRATE, TOCOPHEROL, ASCORBYL PALMITATE, TRIMETHYLSILOXYSILICATE, VP/HEXADECENE COPOLYMER, MAY CONTAIN/PEUT CONTENIR: (+/-) IRON OXIDES (CI 77491, CI 77499), TITANIUM DIOXIDE (CI77891) <81030R1>"